From the east to the west, each portion of Las Vegas has a luxurious home community. These luxury homes are located near natural scenic places or have a great view of the Las Vegas Strip. These homes are master planned or designed based on the homeowner, making these luxury homes stand out above the rest. Las Vegas luxury neighborhoods may have started near the Strip. They were the homes of the performers or executives of the casinos. As the years went on, Las Vegas started to expand. Outdoor spaces became more popular as people wanted beautiful views. Luxury communities began to pop up near these areas for their homes to have fabulous views of the city or the gorgeous outdoor spaces. The newest addition to Summerlin luxury home communities, the Ridges at Summerlin, is a breathtaking luxury home community in the southwest side of town. 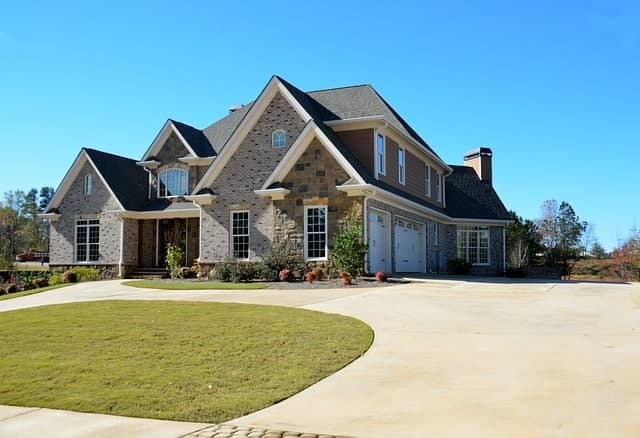 This 800-acre area has various neighborhoods within the community that each has its own special style. You will have jaw-dropping views to the Strip, the golf course, and the outdoor spaces around the area. Hidden on the end of old Henderson, Lake Las Vegas has a luxury home community that will keep you in awe. Heading east on Lake Mead Pkwy, you will begin to see the city fall into the background and begin to see a backdrop of mountains and palm trees. This luxury home community is surrounded by a 320-acre man-made lake and offers residents an opportunity to have a waterfront property. The area also offers two resorts with waterfront shops and restaurants for you to enjoy a night out on the town without having to drive into town. Luxury home communities were actually near the Las Vegas Strip when Las Vegas had its city borders at Eastern Ave. These were the homes of the Las Vegas performers and casino executives who wanted to stay close to their workplaces. One of the most famous luxury home communities of old Las Vegas is the Paradise Palms home neighborhood. These houses now may not seem as luxurious as their Summerlin or Henderson neighbors, but they make up for it in history. These homes are preserved to keep the history alive of their original owners. The home that appears in the movie, Casino, is actually a part of this Paradise Palms neighborhood. The definition of luxury in Henderson, MacDonald Highlands is a luxury home community that will take your breath away every time you pass by a house in this neighborhood. Located near the McCullough Mountains, this 1,200 square foot community offers homeowners astonishing views of the city and outdoor landscapes. With the premier Dragon Ridge Country Club and golf course located within the community, you will never want to leave home. MacDonald Highlands will be your own oasis away from the city. MacDonald Highlands has proven to be the premier home community in Henderson. With a world-renowned golf course within the community, why else would you live anywhere else. Call us to learn about Life at the Top.